The NANOFACTURING consortium today announced that it has made significant progress towards the establishment of a pilot line and the design of a commercial scale manufacturing line for the production of nanopharmaceuticals. Positive results from the project have already been published in Angewandte Chemie International1. 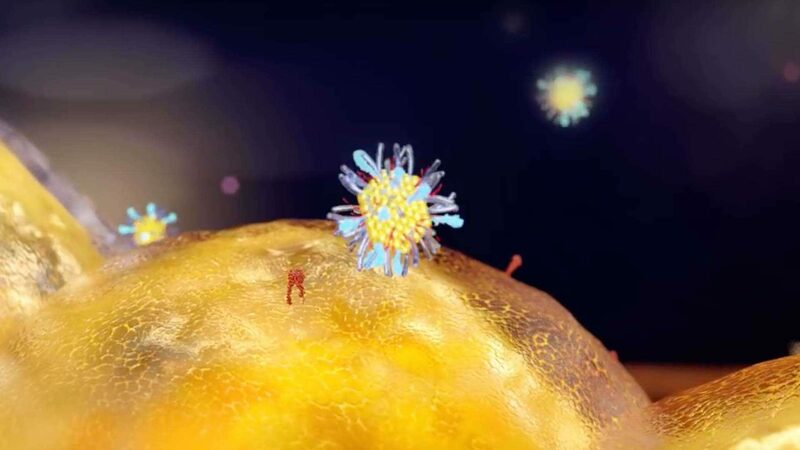 The project, which is due for completion in 2019, focuses specifically on the scale-up of glycan-coated gold nanoparticles for the latest generation of nanomedicines. Ultimately the project will deliver a multiple-scale manufacturing platform to support the extensive pipeline of nanopharmaceuticals being developed in Europe, which will greatly reduce the cost of drug discovery, design, and development. The NANOFACTURING consortium, coordinated by Midatech Pharma, involves the collaboration of seven other partners including the Centre for BioNano Interactions (CBNI), École Polytechnique Fédérale de Lausanne (EPFL), ProChimia Surfaces, Applus + Laboratories, IRCCS – Institute for Research and Health Care, GalChimia, and the Centre for Process Innovation (CPI). Nanopharmaceuticals represent an emerging field in the future of medicine, as they hold great potential for enabling more effective and less toxic therapeutic interventions. The small size of gold nanoparticles provides drugs with several critical qualities: the ability to pass through membranes and pores in the body, allowing delivery to many disease sites; rapid clearance from by excretion in urine, which prevents retention of nanoparticles in the body, and enhanced delivery of drugs with low solubility and poor pharmacokinetics. There is currently a wide range of nanopharmaceutical products in development across Europe. However, the scale-up of production from pre-clinical, laboratory scale to the quantity and GMP quality required for clinical testing is severely hindered by a lack of pilot manufacturing capacity and supply chain infrastructure. The NANOFACTURING consortium is addressing several fundamental parts of the manufacturing supply chain: the supply of ligands, pilot-scale gold nanopharmaceutical batch manufacture, nanoparticle characterisation and commercial scale-up. The project will develop clinically compliant and sustainable commercial-scale manufacturing processes capable of taking these products through Phase III trials into commercial manufacture and supply. The NANOFACTURING consortium has already made significant progress towards its aim, with each partner collaborating and contributing towards the project’s success so far, with the completion of several notable key achievements. 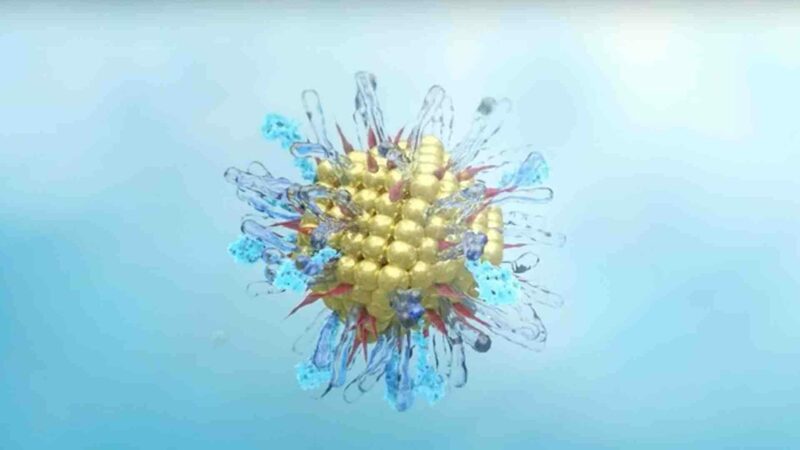 An agreement was formed at the beginning of the project between Midatech and the European Nanomedicine Characterisation Laboratory (EUNCL) to progress testing of prototype nanoparticles in development, as part of the Hepato Cellular Carcinoma Project, which is an on-going project at Midatech Pharma UK. As part of the Nanofacturing project, CBNI-UCD (the Centre for BioNano Interactions, University College Dublin) focused its research efforts on understanding how the structural features of gold ultrasmall nanoparticles (USNPs) affect their interactions with living systems such as human cells and organs – which is crucial to the development of safe therapeutic interventions using these particles. In their study, which is published in Angewandte Chemie International1, CBNI researchers developed a simple and straightforward technique to study how gold USNPs interact with biomolecules once exposed to relevant biological fluids. EPFL has demonstrated a technique for characterising Midatech’s nanoparticles and has successfully developed an analytical technique for characterising nanoparticle-protein reversible interactions. ProChimia Surfaces has completed modification and data transfer of the synthesis route for a number of ligands relevant to the Nanofacturing project and is now looking at the potential for commercialisation. Progress made to date by IRCCS includes the preparation and physicochemical characterisation of two biocompatible nanoparticles with proposed antiviral properties. On-going work is being carried out to conduct in-vitro testing of their anti-dengue properties continues. The team of Applus + Laboratories has established a new, optimised and scalable synthetic route of ligand production that can be reproduced in accordance with pharmaceutical-industry standards. This new process, adapted to be reproduced under the GMP environment, achieves greater purity and better yield than ever achieved before. At CPI a new process for producing purified GNP-Active conjugates has been developed. The process has been designed to be readily scalable, without compromising quality. This means that it can be easily adapted for producing GNP-Actives for use in clinical trials and for commercial manufacture. Additionally, significant progress has taken place towards designing the NANOFACTURING pilot line, converting the batch process for producing gold nanoparticles to a continuous method. Future work at CPI will focus on ensuring that the process can be used to produce a wide range of GNP-Active conjugates. This work will feed into the design of the open access GNP-Active pilot plant that is an objective of this project. The work GalChimia has completed during the NANOFACTURING project is now progressing to a position whereby the company intends to pursue jointly the commercialisation of some ligands with Applus + Laboratories – a positive step for the Spanish SME.